Mary Ann Nichols day of birth: Sun Uranus! Mary Ann Nichols was a Virgo, born with Venus, Uranus and Sun without major aspects in sign or orb 5 degrees. In her chart, Venus, Uranus and Sun were ' calling'. A calling Sun is the symbol if the ego, drawing attention somehow, anyhow. It is the sun of a Star, a leader or a VIP and sometimes of a person that we all know. Sun, Venus and Uranus... With a pleasant Ascendant and in our days she might have become a model. Unfortunately, she was a very very common working class , mother of 5, alcoholic and a prostitute sometimes, in the 19th century. That is how she drew the attention of Jack the Ripper. He murdered this Virgo on August 31 1988. That was with transit Uranus conjunct her progressed Sun. She really had an extrordinary way to be in the spotlights... And as I may assume: involuntarily! The reason for this post is that she died 124 years ago and that her story is a good example of the double impact of a natal aspect being sort of repeated by transit and/or progression, especially when both of the objects involved are 'calling'. In this case and in her situation you could read this Sun biquintile Uranus/transit Uranus on Progressed Sun as a warning, a sort of an alarm bell ringing. Some sort of 'surprise' was about to happen and what never would have happened, became a reality: she was News (Uranus). If she hadn't been an alcoholic, she wouldn't have left home and family to sell her body and she wouldn't have met her mysterious killer. What aspect can we blame for that, in a chart without hour of birth? I think of Mars conjunt Neptune and transit Neptune so close to a square with natal Sun, isolating her, making her weak enough to become a victim... I also think of the Moon, rising before the sun, indicating the importance of habits. There may be many more reasons in her individual chart with hour of birth. But in fact, the only way to be mentioned in history books, in her case, was not what she did when she lived, but how she died. And she died because she drew attention of the wrong kind of man. And that is one if the ways to translate a Uranus-Sun conflict. Mary Ann Nichols was born on August 26, 1845 in London. In my blog Art & Astrology I mentioned the chart of Salvador Dali. His chart is an example of the influencial progressed chart. The progressed chart is the chart for the xth day after birth, valid for the xth year after birth. The progressed chart tells us about the course of life, how we change, develop and get chances (or not). The birth chart gives the tools and the progressed chart shows the way. The progressed chart of Salvador Dali had Mercury conjunct Venus when the progressed Sun changed sign in 1929. His life changed when somebody came to teach him how to draw! The chart of Salvador Dali made me think about finding the best profession for a person at a certain age. Because people develope and change and some of us change late. Maybe too late to make a fresh new start, but sometimes the change was more gradual and only adding experience or a new style. Salvador Dali was thought how to draw and he had basic talents. He had the right stimulating teacher, he was encouraged into the right direction and trained to get skilled. And later he went to the right place to be part of the 'scene'. In the earlier post about Obama's progressed chart you can see how his chart in progression shows the statesman that is not that obvious in the natal chart. In fact, you can WATCH Obama grow into the position of President each day. On the other hand, some potential that originaly existed at birth might have vanished through the years, of course. People grow, people get educated and change and at a certain point in life they are READY and fit for the job they were ment for. Salvador Dali's initial artistic talents were illustrated by Venus end dispositor of the Midheaven in Taurus, sextile Neptune and that was all. But when a friend of his father started educating him and teaching him to draw, in his progressed chart Mercury and Venus had come together for 'art classes' and his progressed Sun sign changed. So did his life! When he went to Paris in 1929 his progressed MC changed sign to Taurus! So again, the progressed chart is of importance and gives information about a person's goals and interests as they were influenced by others and by circumstances AFTER birth. Maybe your initial chart (the birth chart) is not enough to be what you wanted to be, but maybe your progressed chart adds just what you need. Be on the lookout for it! Saturn is the symbol of endings. Inconjuncts are reflecting lack of balance and loss. An inconjunct with Saturn is not the recipe for a happy ending. Check the label (on the right) 'inconjunct Saturn' and what you get are bitter examples of lame ducks and illness. The inconjunct is also the aspect of giving up. The progressed chart of Lance Armstrong now has Sun inconjunct Saturn and he faces (Sun) loss of decorum (inc Saturn) while mistakes (Saturn) are in the spotlight (☀) in an unbalancing way. He gave up fighting and he lost his medals. A year and one month ago there were explosions in Oslo and a killer with an automatic gun shot and killed dozens on an island nearby. What did the charts of the people involved have to do with it? In this blog I want to share my thoughts about the role of the individual chart in times of group disaster (or glory). And I show you a strange interaction between the charts of the killer and the victims (even though he didn't even know them personally). When disasters kill and injure many persons at the same time and place, astrologers are asked about the value of a chart. Some astrologers seek the tragic group destiny in the individual's chart. Others have difficult theories about groups of persons brought together to pay for an invisible guilt or fault in their past lives (I consider that an awful and unproven accusation, blaming victims). Fact is, that in a mass event there can't be a joint transit or progression. That is because it doesn't matter who you are.I think that charts of individuals are as helpful as characters would be in the given situation. Charts of individuals are sometimes insignificant. Charts of individuals only matter if there is a choice and a chance. When you had no chance at all, like on that Norwegian island in a group assembled on the main square, or in an earthquake or tsunami, it doesn't help if you had a nice chart or only difficult aspects. That is because it doesn't matter if you are polite, or ambitious, or a dreamer or a fighter. Individuals are subject to the charts of their leaders (especially in a hierarchic situation or strict authority). Individuals are subject to the chart of their nation or specific place (when it is about war or natural disasters). Just as we all depend on the earth, the safety of the place where we live and (as a kid) of our parents. In given circumstances, in a group, when there is a chance and a choice to make, there is a chance for the person's chart. Else, it is 'des astres'...There is no individual 'crime and punishment' or 'what comes around goes around' when it is about group events or the disasters in Japan or Somalia. When there is a chance for self rescue or when you are in the circumstances that enable you to survive, you will. The contrary is also true: the chart can be in your disadvantage. 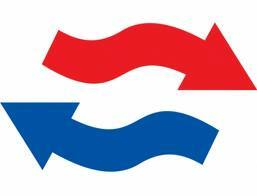 In times of war or disaster difficult transits and progressions make it harder to survive. Do you know 'I shouldn't be alive'? It is about people who almost died, but survived, often because of a strong will. In certain conditions, it is over when you give up. But there are, unfortunately, also situations that offer no chance at all. Just consider this....Transits, progressions and natal charts of individuals in times of war and danger might make a difference, at least for a while, and perhaps that is enough sometimes. But if you are a baby born in Somalia today the smallest nasty transit or progression might be enough to kill you. Those born with the same aspects but in wealth might only catch a cold. Circumstances, situations, genes, gender...they matter. When they are stronger than the will and character of one person, what can he/she do? Nevertheless I started to study the data of the victims in Norway. Then I found a strange correspondence between the chart of the anonymous victim and the chart of a killer, like in the case of the Oslo bombings and the later shooting. I have no idea why or what it means. I just noticed it. - 21.2 Virgo (square transit Mars and opposition the Pholus of Breivik). - The youngest victim, killed on the island, had Venus in the 14th of Gemini (opposition transit Pholus and square the Mars of Breivik). I don't know why it is Venus. I know that transit Pholus square the progressed Mars of Breivik is reflecting the shooting and the violence. Mars-Pholus is in aspect with the Venus of three of the victims. One of them had a Venus-Neptune synastry with Breivik and no Mars-Pholus link, but of course: the Ascendant or MC could be involved. It could just be coincidence and perhaps there is more. I stop here. The data: 31 July 1954, 21 March 1950, 31 July 1978 and 7 July 1988.
. there might be a connection between the chart of the anonymous victim and a group killer's chart, even if they didn't know each other. But it doesn't help anyone survive if they know this (just like it doesn't help them to find the reason afterwards)...so any study would just be 'for the records'. To me it is a confirmation of what I think: that you can't read charts without knowing the personal, environmental, social and political situation and circumstances. They matter. And ofen, they matter more. Like in a group disaster. An individual football player can score and have a good day when his team loses the game, can he? And the team can have a great day and win, while the individual couldn't catch the ball (and the coach noted it). But in the end, the individual's position will be subject to the position of the team, unless he leaves the team. That is what makes it hard to predict the results of a match (though I tried, see the label 'football' and ' EC'). It happened in the year that her Progressed Sun had joined Jupiter, the symbol of success. Jupiter is also the ruler of Sagittarius on the cusp of the 8th house of life and death. Her job was rather dangerous. Venus quindecile Venus: obsessive love? Venus is about to make a quindecile with my Venus (and an opposition with my midpoint Sun/Moon). It happened before, but I never noticed the aspect. A quindecile is the symbol of obsession and strong focus. Venus is about love and pleasure. It seems OK to love to have fun and it is still weekend:). Maybe it is about the choco softies? I remember a Venus quindecile Venus synastry and today is a perfect day to tell it again. Today is the birthday of late Coco Chanel. During the Second World War she fell in love with a German officer and it is believed that the relationship continued even after war. She never married. Her Venus was quindecile his Venus, obsessive love...Is that good or is that bad? It certainly was difficult in WW2. Though it is good sometimes to have a strong focus, it is sometimes bad. Ahmadinejad has Mars quindecile Pluto and that provides him with a very strong focus on political struggle, use and abuse of power etc. Portugese Carlos Cruz has Venus quindecile Pluto in the chart. Carlos Cruz, a Portugese television celebrity, has been found guilty of child abuse in the Casa Pia Child sexual abuse scandal. The orphanage children came forward with their stories in 2002. Cruz was arrested in 2003. On September 3, 2010 Cruz got 7 years and I read that he might be released in 2014, with progressed Sun -> Jupiter. Just like in a few other cases of abuse*), there is aVenus-Pluto aspect in the chart of Cruz: Venus quindecile (165 degrees**) Pluto. PS Today is also the birthday of Bill Clinton, who has transit Venus square his natal Venus and semi square the natal Sun today. Recently I saw parts of the movie 'Into the wild' again. It is about Christopher McCandless (picture above), who got into trouble and died of starvation on a road trip to Alaska, alone. They estimated that he died on August 18, 1992, now 20 years ago. He left a diary and notes and a book was written about his experiences, followed by a movie. I think that much of what happened, happened because of the tightest aspect in his chart, the trine between Mars and Neptune. Don't get me wrong! I know that there is more! For example: the Sun semi square Saturn and inconjunct Pluto (die hard combination; difficulties and restrictions), Sun biquintile Uranus and semi square Saturn (breaking free), the Sun square Neptune and inconjunct Pluto (the silent force, the mystery), or Sun conjunct Pholus (risk to shoot your own foot; the catalyst). Sun in Aquarius biquintile Uranus means a creative way to be independent and free. It is a sort of an ultimate Aquarian dream that turned into a nightmare when being different and independent turned into being an alien in a hostile environment. It is 'Mars trine Neptune' what I like to discuss here, also because of the effect of transit Neptune - Progressed Mars later. This trine again raises questions about the harmony of trines. Mars trine Neptune is important in the chart of Chris McCandless. Mars trine Neptune is the tightest aspect. Tight aspects are most important, IMO (if time of birth is important, how couldn't the tightness of aspects be?) Moreover: this aspect is between important planets in the chart. Neptune is important because Neptune rises before the Sun (spotlight on ideals, dreams and illusions). Mars is in Pisces (ruled by Neptune). The combination of Mars and Neptune is being repeated in the transits and progressions of an important moment: when he left home. In fact: all the while, during his odyssey, the transit was valid! In June 1990 Neptune was in the 14th degree of Capricorn. In december 1990 Neptune was in the 14th degree of Capricorn, again. In september 1991 the retrograding Neptune was in that degree. I've experienced more than once, that aspects in transit or progressions between the same couple as in the natal chart are very important, even if the distance is different. It is a repeating, resonating theme. The transit or progression fits the natal chart, like the glass shoe fitted Cinderella.
" I have a bad example of a count in Holland who was naive enough to believe that he would be spared, but he wasn't. Natal Mars-Neptune opposition. Soon after transit Neptune conjunct Sun (being seen in a negative light, gossip) he was convicted and sentenced to death. Those were the days...a mistake, literally loosing your head... Don't I have a nice Mars-Neptune example? Yes, the chart of Rod Stewart (on Art&Astrology). He has Mars square Neptune and they didn't chop his head off! Maybe you have some more? If you have Mars square Neptune, what is your experience? I read about a man who kept losing his job because of not 'matching with the expectations'. I have seen examples of people working in or with crime (as a lawyer, for example, fighting crime). It seems that Mars-Neptune makes you 'do it' in another world, the world of imagination or the world that the common people don't see. Perhaps they work with animals, in hospitals, as a volunteer, for their ideals? It is a complicated aspect, very confusing (...)." It seems that trines and squares between Mars and Neptune are almost one of a kind. They can lead you into trouble. On February 12, 1968 many more persons were born, like Josh Brolyn (actor), Gregory Charles and Chynna Philips*) (singers). They didn't go into the wild. I don't know what happened to them, but I know what happened to Chris McCandless when the Mars-Neptune combination reappeared in his chart. And I know his background. A study of history and anthropology had given him ideas about society. He wanted to leave society and he did, with transit Neptune square progressed Mars. He died after an odyssey with transit Neptune again square Progressed Mars, almost two years later. The period just before he went 'into the wild' was a Neptune-Mars period. In that period he didn't contact his family . McCandless was born February 12, 1968 in El Segundo, California and he studied history and anthropology. He left home, after donating all of his money to Oxfam, end of June, 1990. That was with transit Uranus square his Saturn, on a moment of 'breaking free'. See the chart for the other transits and progressions. And see that transit Neptune was square progressed Mars. Here are the positions on the day of birth with transits and progressions for when he left. Watch transit Pluto trine natal Sun: he was still strong and healthy then and determined to go. He was last seen alive on April 28, 2012. He disappeared. And when he wanted to come back, it was too late. This is the chart of the estimated day of death. The situation (he couldn't cross the river and was completely alone) caused his early death. Even when he died there was a Mars-Neptune issue. On August 20, 1992 (two days after the estimated day of death) Mars was inconjunct Neptune in the 17th degree. On the 17th Mars had been inconjunct Uranus in the 15th degree. His progressed Mars was in the 16th degree. 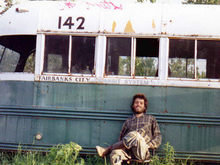 Transit Uranus/Neptune was inconjunct transit Mars and square the progressed Mars of Chris McCandless. I HAVE HAD A HAPPY LIFE AND THANK THE LORD. GOODBYE AND MAY GOD BLESS ALL!" It looks like an act (Mars) of faith (Neptune). Mars-Neptune isn't the kind of aspect to help you survive in the wild. It is the aspect for the poet, the dreamer, getting lost... There is nothing romantic about dying alone, sick, thin and cold, starving. But there is something mysterious about his last years and days that inspired artists to make (Mars) a movie (Neptune) about his walk to infinity. If it is one thing that the trine 'achieved', than it is the fact that his story became a legend. *** (like transit Pluto square Progressed Mercury = stress, and Saturn sesquisquare Neptune =frustrating suffering, in the progressed chart from the moment that he started to travel). 2. Moon trine Venus (need for peace, peaceful moment). Interesting besides: in that chart Mercury is 'calling!' (without major aspects in sign or orb 5 degrees and that the Emperor spoke to the people in a Japanese variety for the upper class, so that they didn't quite understand what he said. It is a very violent time in Mexico right now. There is a drug war going on with many murders. There is also a story about domestic violence at the top. They say that the wife of the man who won the 2012 elections is the victim of domestic violence and that she even had to spent time in hospital (in March) because he had beaten her up. Angelica Rivera (nick name 'La Gaviota') is a famous actress. When a transit is between planets that make an aspect in the natal chart, this transit has a strong effect. Mars-Pluto is a brutal combination. Pluto always intensifies. Mars is the symbol of drive, action and aggression. I've written a lot about Mars-Pluto here and on Astromarkt. It isn't an easy aspect to deal with. It is in the charts of violent men/women and their victims. And it is in the chart of those who deal with competition and who simply want to win. That is why I need to mention that the story about the abuse turned up right before the elections. The opposition doesn't accept the results of the elections. There was an intense competition (Mars-Pluto)! On December 1 the presidency of Peña Nieto, the husband of La Goviata will begin. There is a reason for the symbol of confusion above this post. This is about the confusing mix of fantasy and crime in the chart of Thomas Quick (born as: Sture Ragnar Bergwall). Thomas Quick was born in Sweden on April 26, 1950. He lives in a psychiatric institution since 1990, after a bank robbery. He confessed a number of murders, but some of the victims turned up alive and well, others were never found. What he did or didn't do is unknown. His hour of birth is unknown, too. It is certain that he committed a crime, but uncertain what and when or why. Here are 10 observations about his chart. There are 9 keys to his convincing lies in the natal chart and when he was convicted in 1990, you see the planet of fantasy in an interesting aspect. This is the chart with transits and progressions of the day when they convicted him for being criminally insane. He was taken to a hospital and that is when he started to 'confess' more crimes and murders. Here are 10 astrological reasons for the story of the life of Thomas Quick. There are no squares, but there are a lot of trines and sextiles in his chart. 2. Neptune is the symbol of confusion and fantasy. Neptune is quatronovile Sun (rejoicing the 'double life' or creating illusions). Quote: I knew someone with Sun conjunct the oriental Neptune who used to say: "Am I who I think that I am, or am I who other's think what I am?” She had an oriental Neptune conjunct the Sun. 4. Saturn is 'calling'! I mean: Saturn doesn't make a major aspect within 5 degrees orb or in sign. That makes Saturn an important planet and the theme of Saturn of importance in a life. When Saturn calls, duty calls. But when Saturn calls in the chart of a sick man, he might consider himself guilty, be blamed and … take responsibility, even when he is NOT guilty of a crime. It is because of conscience (crime and punishment). 5. Node without aspects. I think that this contributes to the importance of those around him (family, community) up to any possible level. There is a minor aspect (Mars quindecile Node) that points at a focus or obsession that links aggression or labor to groups of people. Or an obsession with series of murder? They believed what he said because he knew how to be impressive. sign. In the chart of someone who is mentally not 'normal', it just means that he is more inventive than other criminals or patients are. Quaoar is the symbol of creating new worlds and realities. Thomas Quick created too many new realities. Jupiter is convincing. Jupiter in Pisces sesquisquare Neptune has a lot of fantasy and belief. Jupiter-Neptune is the combination of the believing and devoted audience. This man was believed. The progressed Sun was also sextile Pluto. The Neptune-Pluto combination is the combination of the silent force and of mystery. That is when therapy started and he was starting to dream? Transit Neptune was inconjunct progressed Sun: this is a sign of getting out of balance or of fantasy (Neptune) getting out of balance.
! When reading the positions of the day of birth of Thomas Quick we need to consider that this man is a psychiatric patient, probably a pathological liar. This is not the chart of the day of birth of a normal person. That is why the effect of the indications for lying and living like a criminal are stronger than for others born on that day! (I haven't found a famous 'birth' on April 26, 1950, so I have no example of how others - born that day - dealt with the fantasy in their chart). Today the Moon in Aries (1) was square my natal Uranus 5 around 16 o'clock local time. Transit Uranus in 1 was exactly square my natal Uranus. Transit Mars was exactly conjunct my natal Neptune in 7. It was 'exciting'! That was because I rushed through the office, alarmed the security and was looking all over to find my big white bag with car keys and car papers. I was convinced that I left them in locker number 64, but I couldn't find the key in my purse and than I found that locker open, without the bag. Oops! Apparently I hadn't left the bag in a locker, I thought. And recently some of my coworkers had been robbed of their radio, money, bag…So I first checked to see if my car was still in the garage. Then I checked all the toilet rooms and all the rooms of coworkers (even those where I hadn't been that day). Again I checked all my drawers, the open and closed lockers and I looked under the desk. I thought that I used 64, as usual. That was wrong. I left the bag in number 14 and the key (blue, not red, like 64) was in my little black purse, hidden between some paper stuff. Mars-Neptune for a blooper? 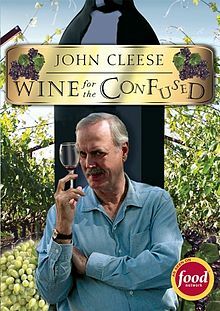 Anyway, I hurried home and poured myself some wine 'for the confused'. The natal charts of the winners are similar when it comes to certain aspects: Mercury-Jupiter, Mars-Jupiter, Jupiter-Uranus, (all for success), Venus-Saturn (for carefull manangement of the money) and Venus-Pluto (the money combination). The lady in the guess chart has two of these aspects in the natal chart: Venus inconjunct Saturn and Jupiter exactly trine Uranus. Her natal Sun and Midheaven are between Venus and Pluto (the money axis). Those are two indications for something beginning to change her life. And let's not forget the progressed Midheaven square Pluto (ruling the second house of money! ): a transformation in position AND Progressed Sun square Venus (now we have the Venus-Pluto combination again = money). Sun-Venus progressions always make life more comfortable or pleasant. I asked you to have a special look at the houses. The houses involved are 2 (money) and 5 (games). In total there are 8 transits and progressions (including transit Neptune inconjunct Pluto) at the same time. That means that it was an important period! The lady of the guess chart used her one million euro to pay the mortgage and she gave her kids some money. Today there is not enough left to stop working... Her job: she is a writer (also writes columns), was an actress, and is an activist, too. She divorced and has children and (a lot of ) grandchildren. (So Dunyazade did make some right guesses: writer, the involvement of children and a prize. One of her sons suffers from schizophrenia). BTW the transit of Neptune inconjunct Pluto ruler 2 shows how easy it was to find out how to spend the money:). If you didn't know about it, you still could see that there was joy (Venus-Jupiter, trine Uranus) and that there was change (Uranus and Pluto: sudden dramatic change). The 5th house (in transit) is usually a lucky house. Here is another chance to try if you can find out what happened in the life of the well known woman with this chart, on July 5, 2007. But because of the significance of the house rulers (making me think that the hour of birth is correct): mind the houses! If you want to know what happened, you will have to read the next blog post. 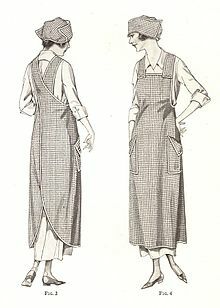 One blog ago I presented a guess chart and asked you to to try to find out what happened to the lady with that chart in April 1958. Here is the answer to that question. Of course, you can't just start making a guess. You need to know about gender, culture, social position and natal chart before you start looking at the transits and progressions. I should have told the readers of this blog that it is about a not western high society lady. Venus inconjunct MC: this is the aspect pointing at a position in society (MC) too much (inconjunct) related to wealth, beauty, women or being a woman (Venus). Venus is in the 5th house of children and 'the other gender' This woman didn't have children. She also never had a lover (again). But she was very rich and had a 'jet set' life. 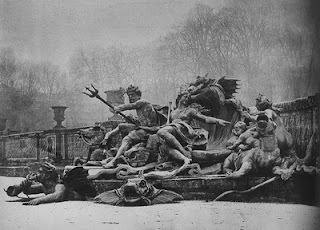 Neptune square MC with Venus inconjunct MC: this combination relates the position in society (MC) to romance (Venus-Neptune) or art (Venus-Neptune). As both Venus and Neptune aren't well aspected, the nasty side of romance turns op: disillusion in marriage. It is the chart of Princess Soraya, who married the Persian Sjah and had to leave when she didn't give him an heir. She had to leave the country, but was overloaded with money. She was never seen with another man. 1. Transit Saturn inconjunct Progressed Sun is one of the most difficult and saddest aspects. It is about losing balance because of losing status or control. The transit is EXACT on the day of the official divorce. Neptune is confusing, but this aspect clearly shows us what is happening. She lost (inconjunct) her partner (AC/DC) and there was a negative and confusing situation. This aspect was also EXACT on the day of the official divorce. Juno is the symbol of partnership (Juno was the wife of Zeus). The transit shows: spotlights (Sun) on partnership (Juno). But it was not a beginning! There is help and support in the middle of the devastating situation: Jupiter. Jupiter is the planet of traveling (she went to Italy), progress and success (she became rich). Saturn is for departure, diverse, endings and the axis AC/DC points at relationships (again). Now we have two inconjunctions (quincunxes: loss) and two times Saturn (endings, barriers) Sun and Neptune relate to the 7th house of marriage. We have 3 bad signs EXACTLY for april 1958. When there are more than 2 indications in a certain direction, there is the 'rule of 3': it might just happen. She didn't die. Her husband remarried and had his son (who never became a sjah). They separated. That is what happened! And the transits and (most of all) progressions are clearly indicating that something sad happened in a relationship. If you want to learn more about progressions, just use the label below to find more examples.